I’m super excited to announce that I’ve published another book. This one is a collection of short stories that I’ve written in the past year or so. A couple of them have appeared on this blog already, but the inspiration to compile them into a short story collection came when I was browsing through some of my other stories and realized that I had several stories that fit a similar theme. All of the stories are in settings inspired by Duluth, and all of the stories involve tiny magical creatures, namely fairies and dragons. 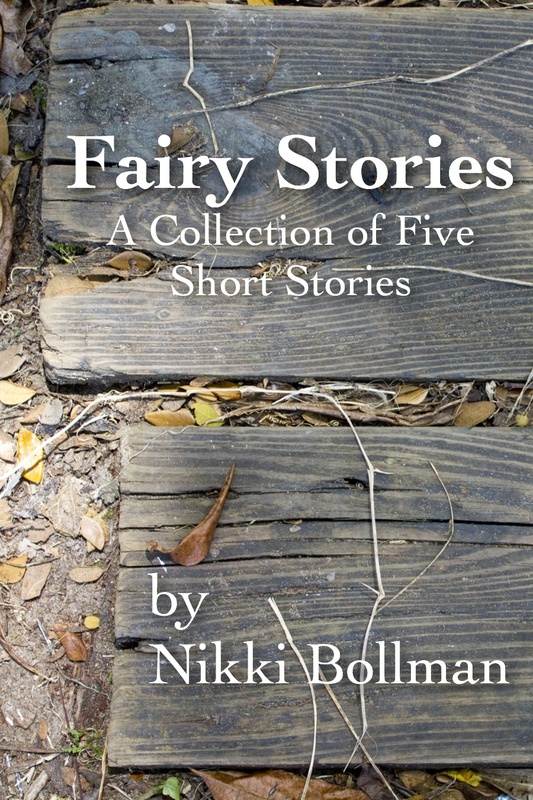 Fairy Stories is available on these sites. Click the link to go to the book’s purchasing page! If you’re interested in purchasing the collection but you’re not sure you’ll like my writing, you can read a couple of the stories for free here on my blog. Farmers’ Market Fairy is the first one, and A Fairy Yarn is the second. I have a couple of other short stories up for free on the blog, too. You can click on the “Stories” tab up top to see a list of all of them. I’m also working on getting all of my short stories up individually on Amazon, Barnes & Noble, and Kobo, for $0.99 each. That will make them easily accessible to anyone wanting to get them on their e-readers. Eventually, I’ll have them in Apple’s iBookstore and for sale on this website, too, for anyone wanting to directly purchase from me. In other news, I have only a little more than 5 weeks before baby’s due date! We made the trek down from 50 degree foggy weather in Duluth to high 80’s in Minneapolis, in a car without air conditioning. Being pregnant and acclimated to Duluth’s cooler weather, I can not say I have enjoyed the heat much. What I DID enjoy was the baby shower hosted by my wonderful cousin and aunt and attended by family and good friends. It warms my heart to know that our baby will be loved by so many people and born into such a caring, supportive family. 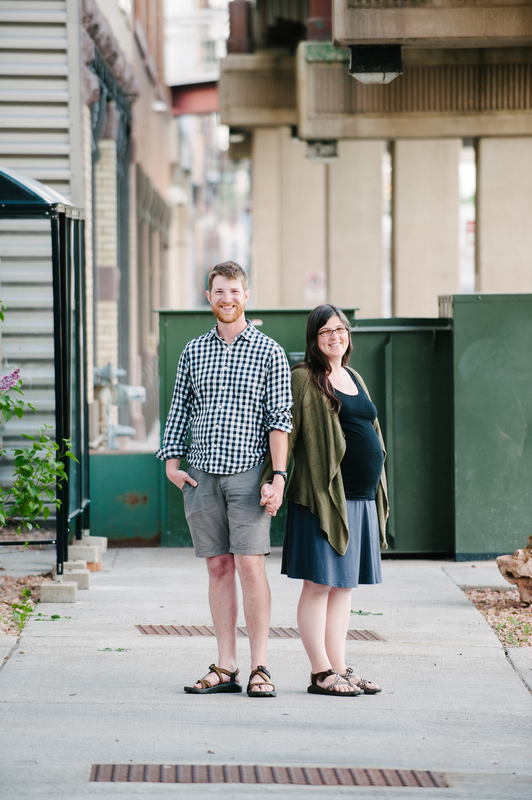 Here’s a picture of Chris and I that Max of Max Caven Photography and Duluth Portrait Co took last week. My belly seems to be getting bigger by the day! 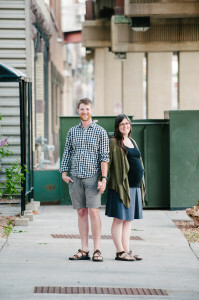 The picture was taken outside of the Duluth Portrait Co studio in downtown Duluth. Click on the photo to see it larger.